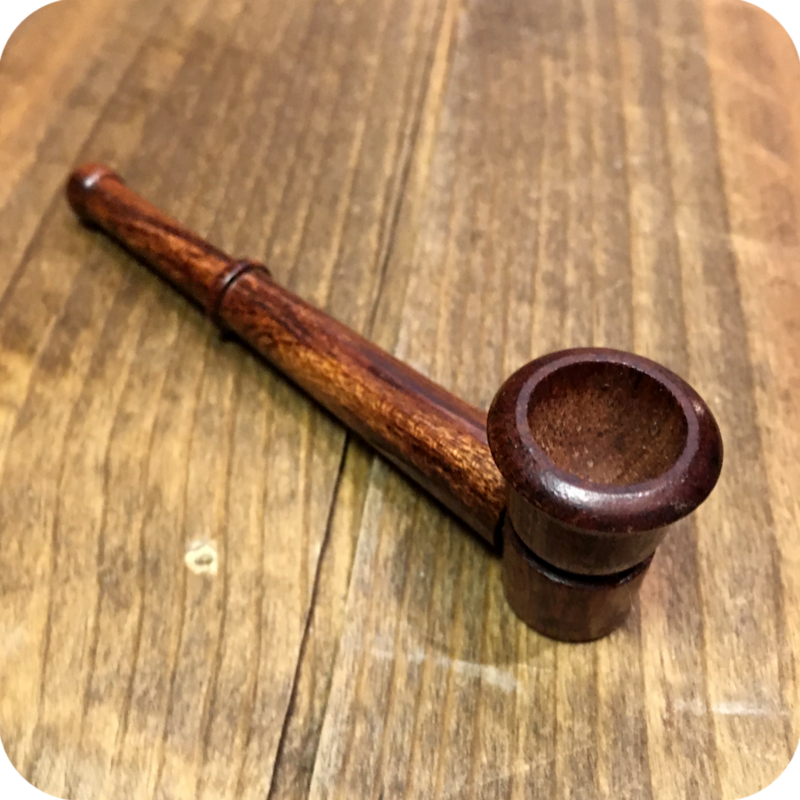 This Small Simple Tan Wooden Pipe is a classic no frills pipe that is quite portable! 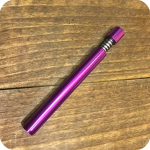 At just under four inches long, you can easily take it wherever your need to go. It is very easy to use. Pack the bowl with your favorite legal herbs, or smoking tobacco and light the bowl as you inhale. It is as easy as that! No carburetor required. Keep this pipe regularly clean and maintained for optimal use. Any standard pipe cleaner run throughout either end of the pipe will do a good job of cleaning gunk and build up that could cause the bowl to clog. 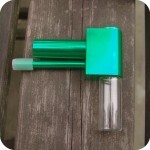 This ensures that air and smoke can pass through with ease. 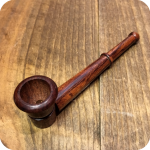 The history of wooden pipes is an extensive one. Wooden pipes have been around for a long time, and the Czech Republic has some of the oldest documented stories. The local artists of the Czech Republic would commonly produce and sell their wooden pipes in annual farmers markets. Although glass pipes have since taken the lead in popularity, wooden pipes are still commonly used by many as a great tobacco pipe. The Small Simple Tan Wooden Pipe is just one of the many wooden pipes we carry! Be sure to check out some more here. Finally, do not forget to swing by either one of our two Brooklyn store locations. We have something for every smoker! Our Williamsburg store is located at 518 Grand Street, and our Bushwick store is located at 12 Wilson Avenue. 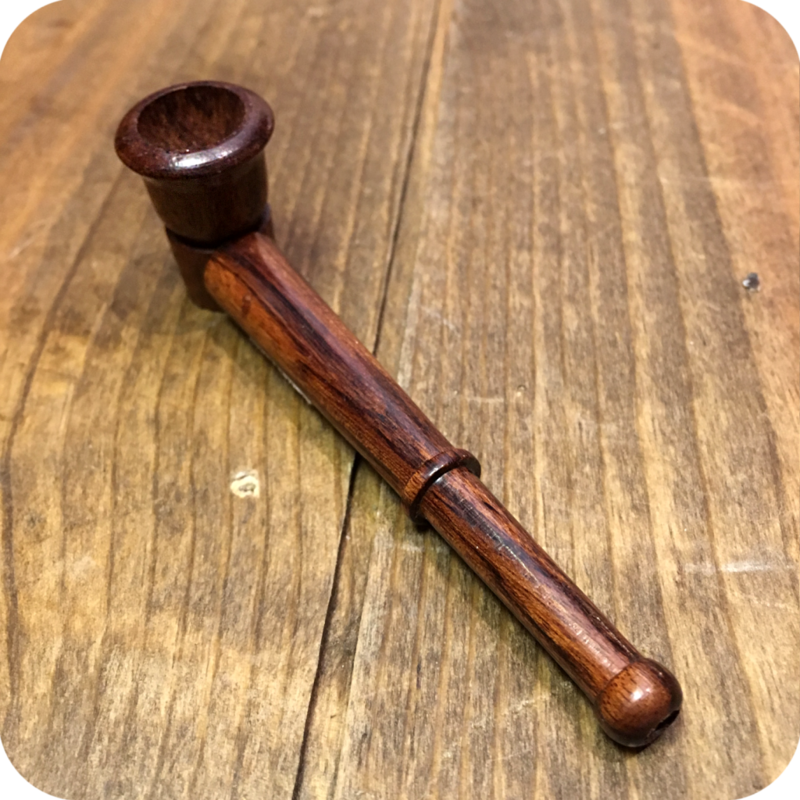 Categories: Smoking Pipes, Wood Pipes. Tags: Small Simple Tan Wooden Pipe, Tan Wooden Pipe, wood pipe.